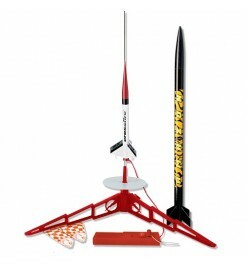 Complete sets including one or more rockets, either in kit or ready to fly, a launch pad and an electrical launch controller. 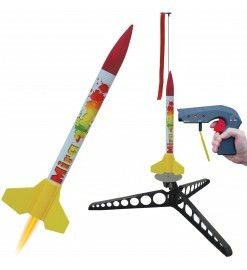 Motors and building supplies are not included. 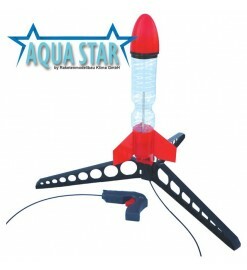 Starter Sets There are 23 products. 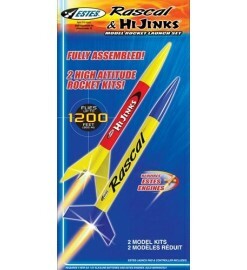 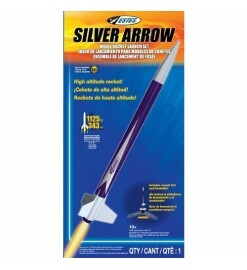 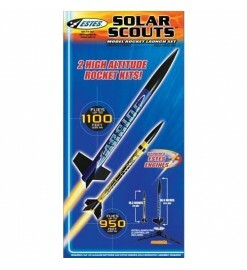 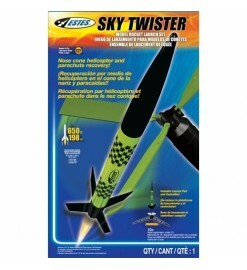 A complete package to get started in model rocketry! 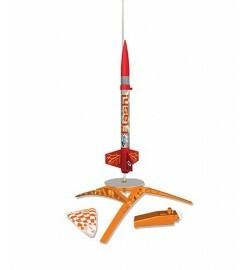 It contains everything you need for the first launches with multilingual instructions. 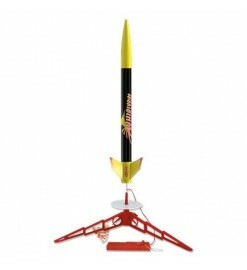 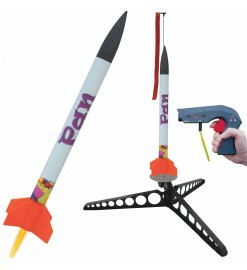 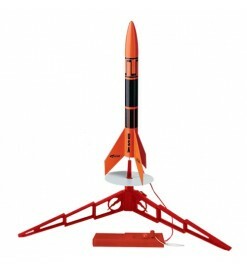 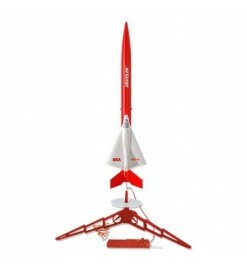 Model rocket launch set, with a rocket, a launch pad and a launch controller. 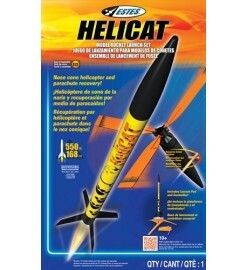 The rocket nosecone is recovered by helicopter blades. 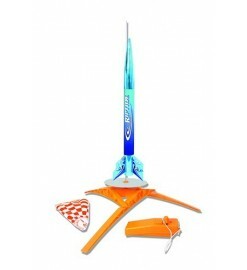 Easy to Assemble Launch Set for beginners.The Wild Flyer features pre-colored parts and cool self-stick decals, and includes a launch pad and a launch controller.